See the nativity scene unfold with this delightful 3D play scene. This unique book opens out to reveal the bright and colorful scene of the nativity--Mary and Joseph and baby Jesus, the angel, the shepherds, and the wise men--complete with opening flaps, amazing pop-up visuals, and additional press-out figures to add to the scene. 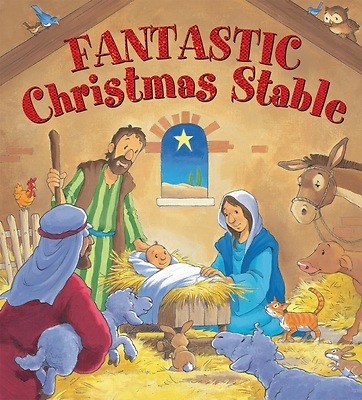 A sixteen-page storybook completes the package with the story of Jesus' birth.